The servos are controlled by computer boards. In this time we use Arduino as control boards. Arduino was developed in Italy as for prototyping. 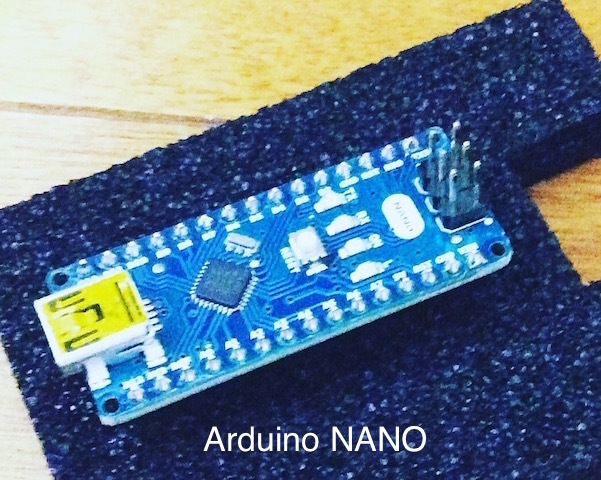 There are many type of Arduino in the world. 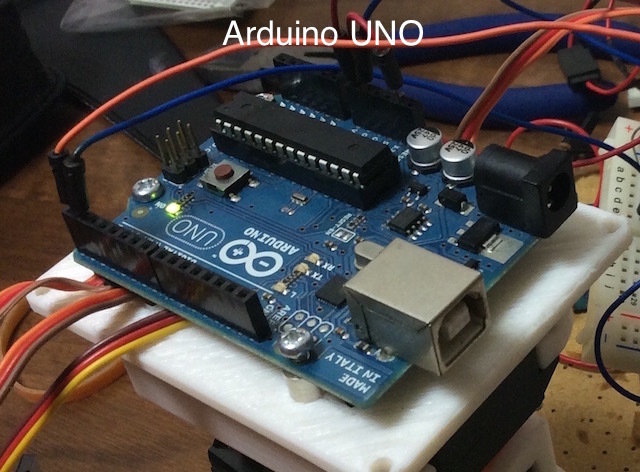 We use Arduino Uno that is most popular in this project. Arduino UNO is available for about 4,000 yen. You can write the code easier than general microcomputer. And Arduino has library for servo control so that you can write very easy code for servo controlling. 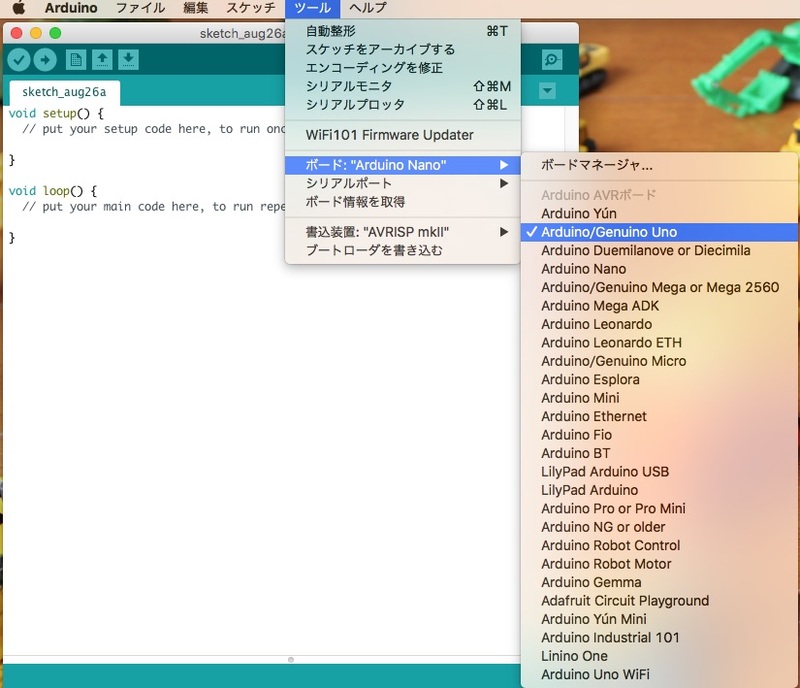 IDE is the Integrated Development Environment that you can write sketch for arduino on this system. And you can debug the code, monitor transmition. Scketch is progtraming code for arduino. 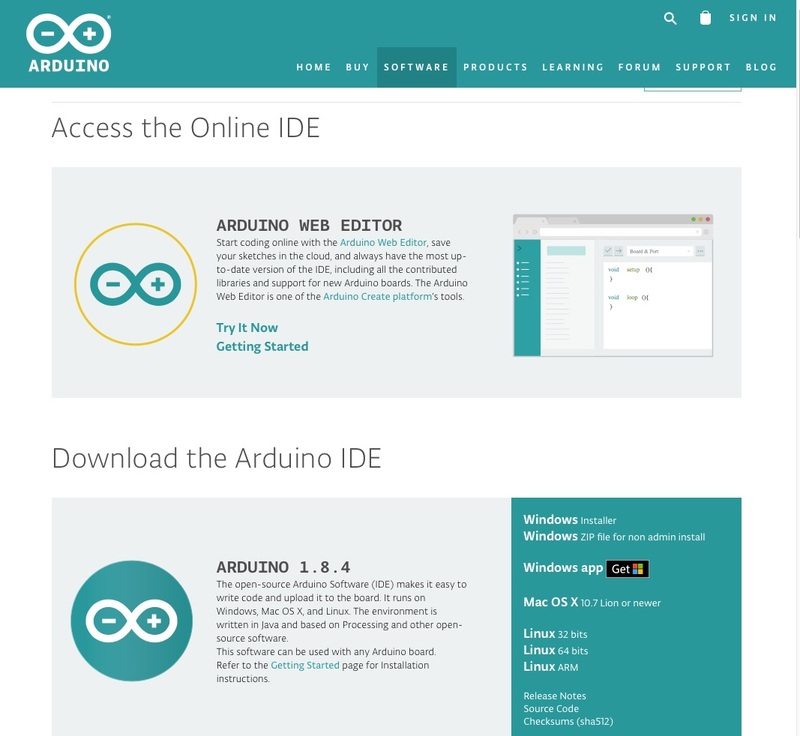 Firstly you have to download ArduinoIDE from arduino official site. Latest version is 1.8.4 now. Click "Mac OS X 10.7 Lion or newer". And click "CONTRIBUTE & DOWNLOAD" or "JUST DOWNLOAD". Please move Arduino App to Apllication Folder. Double click Arduino app. And connect Arduino to PC or Mac via USB cable. Select your arduino. "Tool"　→　"Board"
Copyright © 2017 robotakao All Rights Reserved.